Applications are “rolling” meaning, if you are interested please apply as soon as possible and we will contact you about which session is appropriate for you to start! By empowering advocates through the 50CAN advocacy framework, our WAVE grassroots engagement work will move Hawaii closer to our vision for the future of education—and create a more responsive and equitable education system. -You must attend 6 sessions a school year. -After that you can pick & choose what to attend over the summer. Session dates/times can be found on the program calendar. We have training sessions, learning experiences and special events lined up from September 2018 through April 2019! Click here to view important dates on the WAVE calendar! 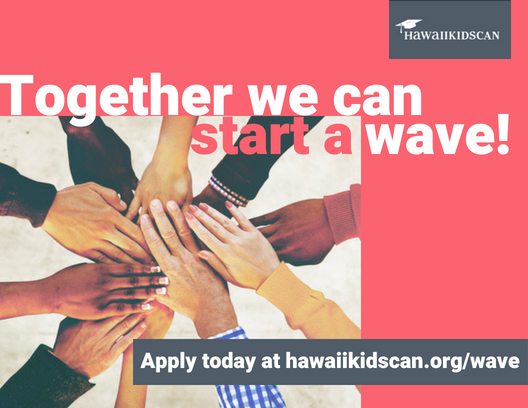 In 2018, HawaiiKidsCAN launched the first cohort of its WAVE program. The first cohort of WAVE was comprised of students from Farrington High School in Honolulu. Over the course of a semester, HawaiiKidsCAN led this founding group of students through a curriculum that equipped them with the skills and the resources they’ll need to lead meaningful advocacy work in their community. 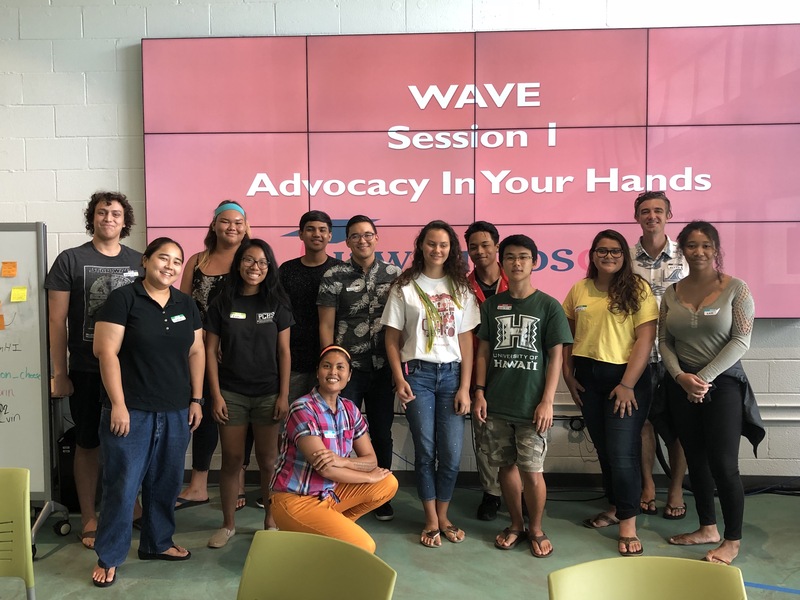 HawaiiKidsCAN learned a number of important lessons from the inaugural cohort of this program and redesigned the WAVE program for next school year. We also partnered with students and teachers outside of WAVE to take action on legislative campaigns, taking students and educators from Campbell and Roosevelt High Schools to testify in-person at the legislature and before the Board of Education. The students helped to produce both meaningful policy change and work in tandem with adult role-models to further develop their leadership skills. From these experiences, we realized that WAVE should be community-based rather than school- based. Meaning that we should take our leadership experience to places outside of the classroom, and incorporate role models to mentor our participants. We hope our redesign of WAVE can offer experiences committed building the skills of all members of a community, and creating opportunities for supporting student voice. WAVE is a program that equips community members (adults and youth) across the islands with the skills to lead impactful and localized advocacy campaigns. Program participants will work through a core series of trainings where we will provide the framework for advocacy. We will also hold community-based events to provide learning experiences for participants to make specific advocacy actions. During the process of attending trainings and completing advocacy actions, participants will work with mentors to reflect on their advocacy process. Participants earn “badges” that signify their expertise in advocacy. These badges will help motivate and recognize participants for their hard work. The key components of this program are the core series of trainings, community learning experiences, and advocacy actions. We hope to have a program that is deeply rooted in community-based learning. WAVE mentors and participants will be members of school, faith, business and social movements who come together to share their knowledge. We would not be able to do this without your support. We are hoping to partner with committed stakeholders in the education community, leaders in entrepreneurship, and faith communities to provide mentorship for our youth and other WAVE member to “learn while doing.” That means attending an event in your area, or helping to organize one! During the course of the year we will sponsor events where WAVE participants can participate in advocacy actions. From these experiences, WAVE participants will learn through action and integrate with community champions. We will partner mentors with participants who can provide reflection and support for developing their advocacy skills and their own campaigns. We can’t run WAVE without mentors, community partners, and referrals to youth programs. If you are interested in participating in trainings, events, providing mentorship, and / or becoming a point-of-contact for your school or community-based organization, please contact Aisha Heredia, aisha.heredia@hawaiikidscan.org.